The Tata group and aviation go back a long way. JRD Tata, the scion of the Tata group was India’s first licensed pilot, and it was he who started Air India in 1933. The airlines is now nationalised and owned by the government. Since then Tata group is known for being an industrial conglomerate. Keeping their aviation roots in tact, TATA had launched Air Vistara, a full service airline, in partnership with SIngapore airlines last year. Other than that, the TATA group owned 41% stake in the low cost carrier. Things have come full circle now. The Tatas have upped their stake in the company and now own 51% or majority stake in the airline. The Tatas have bought the 9% stake from Air Asia’s other major Indian investor Arun Bhatia who had been locked in a long boardroom battle with the airline and who will now exit the company. Reportedly, Bhatia was unhappy with the way the Indian operations of the airline were handled. The airline will now have only two major shareholders – Air Asia Bhd and the Tatas. The Tata group owns 49 percent, while two of its executives hold 2 percent, while the Malaysian parent holds the balance 49 percent. 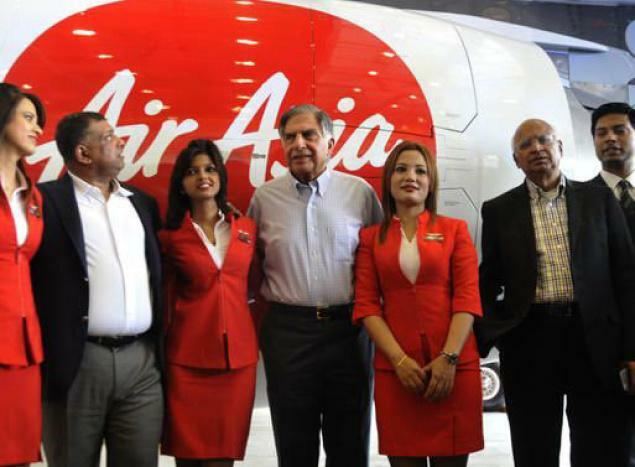 That does give the Tata group the upper hand in decisions at Air Asia. Air Asia currently operates over 50 routes within India and more than 150 international routes originating from India.